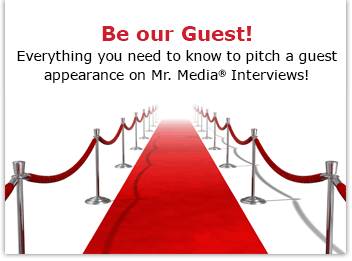 Mr. Media is recorded live before a studio audience – HEY! WAIT A MINUTE! THIS IS NOT MY BEAUTIFUL LIVING ROOM! Holy cow, we’re LIVE at the extraordinary Globe Coffee Lounge in the new new media capitol of the world… St. Petersburg, Florida! Johnny G. Lyon has a voice that was built to sing rock ‘n’ roll. And the rumors are true: I once spent a night with Johnny G.
Oh, it was innocent enough – I was there early one evening in April 2008 when the band loaded in its equipment at the old Big Apple Bistro on Central Avenue in St. Petersburg. And I stayed all night with Johnny and his drummer and buddy Ray Blade. My fiancee – and days away from being my bride – was there, too, and we listened to every song and talked in a booth between every set until the wee hours. It was a great night, a memory I’ll always treasure from my days as a reporter and editor of the short-lived Tampa Bay weekly. My time with Johnny and the boys turned into a cover story for the alt-weekly. It was accompanied by a close-up photo of the singer with his mouth open so wide we could see his tonsils! Through the wonder that is Facebook, Johnny G. and I reconnected literally two weeks ago. And when the opportunity to book guests for a live remote interview happened, I knew I had to get Johnny in hear to catch up – and hopeful entertain with a song. Wow, you both are charming, and that was a really fun interview! Aw, shucks. Thanks! Johnny was a fun interview!